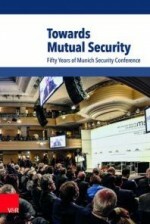 Chairman of the Management Board of the Institute of Contemporary Development Igor Yurgens took part in the 50th Munich Security Conference. The most pressing issues discussed at the forum were Syria, Ukraine and cybersecurity. Europeans are most concerned about European security issues as military budgets shrink, while Americans are focused on their general role in the world and, of course, cooperation with the European Union and joint efforts in Asia. One of the key topics remains Afghanistan and the situation in the region following the withdrawal of the alliance’s forces. The entire Greater Middle East region also remains an area of heighten concerned. Unfortunately, the high-pitched confrontation between Russian and the Euro-Atlantic is not abating. The forcefully delivered speech by Russian Foreign Minister Sergei Lavrov was perceived as a continuation of a competitive tack to the detriment of cooperation. The West is pushing to devalue Russia’s political and diplomatic victories on Syria and Iran last year, and is succeeding at this. All positive movements are credited to the West and all negative aspects are blamed on Russia. A very difficult meeting on Ukraine had similar undertones. Neither of the sides heard the other. Russia’s substantive argumentation on the economic components for reconciling the situation were ignored. The top priority for the Ukrainian opposition and its allies was the value of the European choice and the will of the part of the Ukrainian people which is in favor of integration with the European Union, while the opinion of the other half of the population was ignored. The situation resembles a “cold peace,” and in this regard some initiatives are needed to adjust the positions of the sides involved. One of the topics widely discussed was the initiative of a number of think tanks to create a working group chaired by Carl Bildt to analyze problems of cybersecurity. The group has a very impressive array of experts, and a request to also include specialists from Russia has been taken into consideration. On the eve of the conference Igor Yurgens gave an interview about the meeting in Munich to the English-language publication Russia Direct. What should Russia expect from Munich conference?